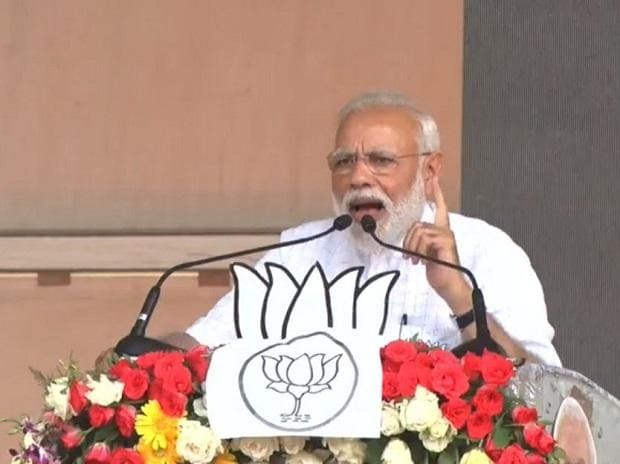 Prime minister Narendra Modi and West Bengal’s chief minister Mamata Banerjee launched the election campaign for their respective parties – the BJP and the TMC - in the state on the same day for control over the 42 seats in the Lok Sabha. While Modi chose to launch the campaign from Siliguri, which falls under the Darjeeling constituency in north Bengal – a BJP turf, Mamata chose the adjoining Cooch Behar – a constituency where 59.03 per cent of the people voted in favour of TMC in the last Lok Sabha elections. Modi followed up his rally with Kolkata at the latter half of the day. In his first series of salvos on the TMC supremo, Modi, referring to the air-skirmish between India and Pakistan following the terror attack on Pulwama, told the crowd in Siliguri that while Indian forces attacked the terrorist camps in Pakistan which ideally should have hurt them, the pain was felt back home by Mamata and other opposition parties who earlier had asked for proof about the claim and condemned Modi for taking credit for the air-skirmish. He further alleged that Mamata is the “speed-breaker” who has been blocking implementation of central development schemes and Bengal wasn’t able to reap the benefits from such schemes like other states. “The kind of developmental work I have done for this country, I wasn’t able to do it in Bengal. There is a speed-breaker here – and people call her Didi”, he said. Modi primarily rested his campaign around his government’s recent achievements like “surgical strike, air-strike and satellite strike” claiming that while India previously possessed these capabilities, the intent to use these wasn’t there and his government had achieved what was previously considered as an aspiration. Allegations of involvement of TMC leaders in the raging chit-fund scam were also raised. On the other hand, while Mamata, responded to Modi by claiming superiority of the state government’s schemes over the central ones, she attacked Modi head-on claiming that Modi was responsible for the Pulwama terror attack in the first place. “You (Modi) had prior information about the incoming attack and you (Modi) didn’t do anything to prevent it; you just let it happen”, Mamata said addressing a rally in Cooch Behar. However, Mamata chalked her campaign to entice the crowd over protection of their democratic and constitutional rights. “If they (BJP) come back to power, neither you, nor I, nor the Hindus, or Muslims or Christians or scheduled castes or general castes or anyone will be left with any democratic rights. They (BJP) will change the Constitution itself”, Mamata claimed. One of the key issues raging in northern West Bengal among the ethnic minority communities like the Gorkhas and the border areas, is the implementation of the National Register of Citizens (NRC) in the states. While the TMC claimed that its application will imply people who came to India after March 23, 1971 losing their access to government schemes and voting rights for a period of six years which ultimately will result in expulsion from India, Modi assured, “Let me assure the Gorkhas that NRC will not bring in any harm to you in any way”. Interestingly, the BJP had resorted to constructing around 8-9 hangars for the rally in the Brigade Parade Ground Kolkata – the first of its kind in this venue. The party’s leadership reasoned that a covered venue was more preferable than an open ground as it will help reduce stress on people due to the sweltering heat and any natural calamities like storm. Mamata, however, chose to attack Modi on this. “By looting people’s money you (BJP) are building hangars and spending crores of Rupees. The BJP spends Rs. 100-200 crore on a single election rally. From where is this money coming?”, she questioned in her rally. Modi also took a dig at the Congress’ manifesto released last day and claimed that the Congress will curb the powers of the armed forces and compromise on national security. “I dare you (Modi), touch me if you can. You cannot do anything. I don’t want nationalistic certificate from you to prove my nationalism. With NRC, the government will first take away people’s rights for six years and then order them to leave India” – at rally in Cooch Behar. “Its three parties (BJP, Congress, Left Front) versus one (TMC) in West Bengal. In the morning, they are Left Front supporters, by noon, they become Congress supporters and by evening, these same people turn BJP supporters” - at rally in Cooch Behar. “The Congress is stating that the armour of the Army be removed (some clauses of the Armed Forces Special Powers Act). Will it not benefit the terrorists? Congress has a history of dissolving laws which are pitted against terrorists like TADA, POTA” – at rally in Kolkata. “The pain which was felt in Islamabad, Karachi, Rawalpindi, (after the air-strike), more pain was felt by Didi here in Kolkata. She cried so much about our achievements and her grief was so intense that she became a hero in Pakistan” – at rally in Siliguri.